Though many of you might have heard of apple cider vinegar, at the same time not all of you might be aware that it is good for our health. The apple cider vinegar is known as one of the most popular vinegars in the natural health community. Well like the saying goes "information is power" or "there is no information that is not power", therefore i will love to bring to you some of the unknown health benefits of apple cider vinegar so that you will get yourself empowered and equipped with them. It is good for stomach as it helps in fighting any bacterial infection because of its antibiotic properties. It is also relieves instestinal spasms. As it is rich in Vitamin E, A and B, magnesium, iron and calcium, drinking apple cider vinegar with water helps in boosting your energy. If you have a sore throat, garle with a mixture of warm water and 1.4th cup of apple cider vinegar. It will help you get relief from sore throat as it has anti-bacterial quality. 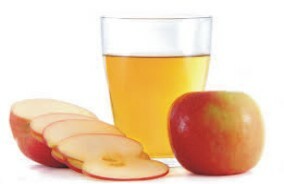 Consuming apple cider vinegar helps in reducing weight as it will make you feel more full, which can help you eat less. The health benefits of apple cider vinegar are quite numerous, these are some of the unknown or less considered ones i wiil love you to be aware of. Feel free to share this post.